It all started with a photo of cookies on Instagram and Facebook. There are the 'Likes' and "yum"s, and then the requests for the recipe. I say that's where it starts, but really it is decades back into my childhood. Deep into the hills and winters of past Christmases at home - either living with my parents, over break in college, or spending time over the holiday after moving away - there is a cookie. A cookie that shows up once a year for a couple weeks, then vanishes leaving nothing but crumbs and deposited calories. And memories. 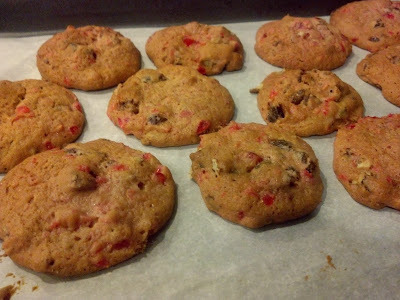 This year I wanted to make the cookies myself - my mom's fruitcake cookies. Before you wince at the dreaded Yule time F-word let me clarify that these are sweet and soft without the astringent citrus that plagues round tins and white elephant parties. I had to get the recipe. A simple phone call is all it would take, and within 15 minutes I was typing onto Notepad as quickly as my mom was reading. I could see the folded piece of paper from the brown recipe box as surely as it was lying in front of me. The next day I went to the store and scoured the baking aisles for chopped pecans, candied chopped dates and candied cherries. Those translucent fruits only seem to be in season this time of year. I went up and down searching high and low. I finally found the treasure I was seeking on the end cap of the baking aisle - specially displayed because, well, apparently they are only in season this time of year. The process is messy - especially chopping the cherries. I just take my shears and chop away in the little plastic container. The batter is one of the stickiest you will ever encounter. The bowl is incredibly heavy after all the sifting and adding and beating into sweet submission. The cookies, oh the cookies, they are like Christmas to me and worth the effort. 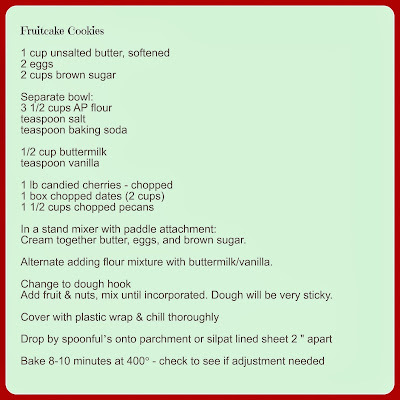 I'm sharing this recipe with you. I have no idea where it came from, maybe the pages of Southern Living or a relative. I'm also sharing some of the tools that I use to help the process along. If you make them, I'd love to hear what you think. 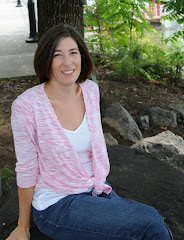 I'm linking up with Crystal Stine for Behind the Scenes. Click over to find other stories that lie outside the frame of the photos. Ooooh, I'm so glad I linked up after you! I must admit that I don't ever chop my cherries because I like the big sugary lumps, but I'm going to try your recipe this year and see if I like them. Thanks so much for sharing it! You're welcome! Is this close to the recipe you came up with? I'd love to know how yours is the same or different. Amy, these were my FIL's favorite cookie that his mom made. Only, Mamaw's cookies were called Lizzies and they had some alcohol in them. I finally found a recipe one year before he died and made them for him, he was as happy as a kid in a candy shop. I can't remember the exact recipe but yours looks similar. What a precious memory and gift you were able to give to your FIL. Food has such a strong pull on our hearts at times. Hope you like this one. 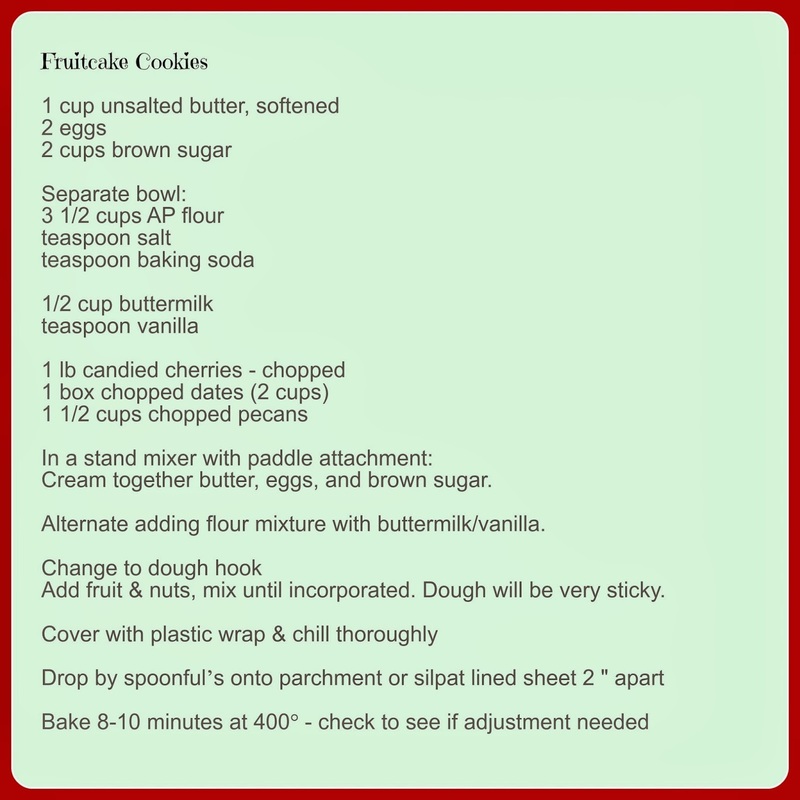 Ooohhh...another cookie to add to our list! (We bake like mad around here this time of year because we host an annual neighborhood cookie party...I get to bake all day today!) 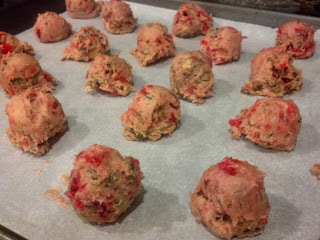 But I'm going to have to give these a try sometime soon...they look yummy! I do what I can, Mel! Laughing is my favorite. Hope you like them. So, I am going to try them!!! I'm pretty sure my mixer will not be able to handle them, though. But a new mixer is not on the list this year! use the mixer up until adding the fruit then get a workout. I'm serious that this is a super sticky dough. If you have a dough whisk, that might be a good option for the final mixing. Hope you like them. Thanks so much. So funny how things get lost in the shuffle.